Did you know that many home insurers won’t cover customers with trampolines and also have restrictions for those with a pool? Check with your account representative before buying a trampoline or installing a pool. If you file an insurance claim involving a trampoline or pool (especially one your insurance company didn’t know about), you not only risk higher insurance bills in the future; you could also have trouble finding an insurance company willing to underwrite your future coverage. Here are some tips on how to protect yourself and your loved ones from these common warm-weather hazards. 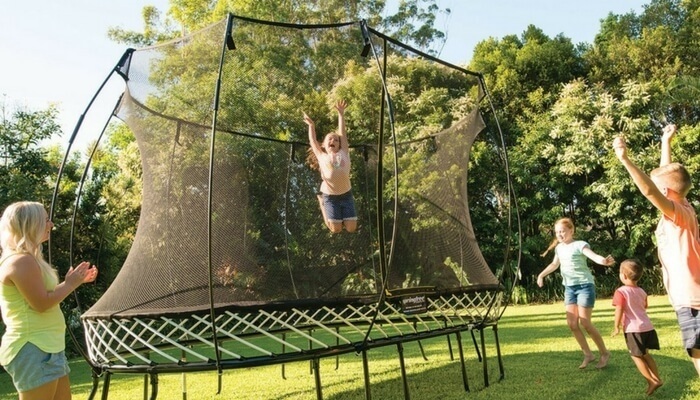 Homeowners should also consider the liability of a backyard trampoline, in addition to the potential for injury. Trampolines aren’t just dangerous, they’re also virtually impossible to secure and adequately supervise. Another backyard hazard is a swimming pool. According to the Insurance Information Institute, about 45,000 people are injured in and around swimming pools each year and half of pool fatalities occur in yards of single-family homes. An in-ground pool must have a fence with a locking gate that meets state height requirements. An above-ground pool requires a self-latching and locking gate (if there’s a deck) or removable ladder (if no deck). Pool entrances must be locked when the pool is not in use. Pools must be well supervised when in use. Pools with diving boards and slides generally need to be eight feet or deeper.